The 1904 Olympics, officially known as the Games of the III Olympiad, were held in St. Louis during a four-and-a-half month time period, July 1, 1904 to November 23, 1904. Unfortunately, the events of the 1904 Olympics were overshadowed by the 1904 World's Fair that was occurring at the same time. 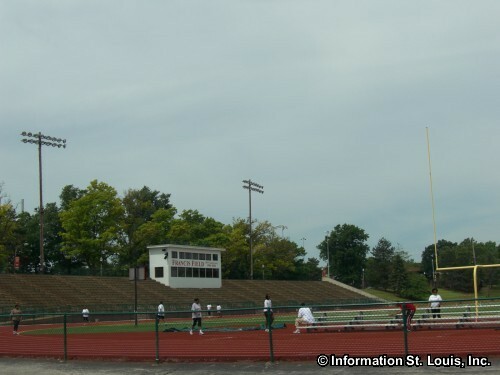 The St. Louis Summer Olympics were also poorly attended by other nations. Only 12 nations sent a total of 52 athletes to compete. 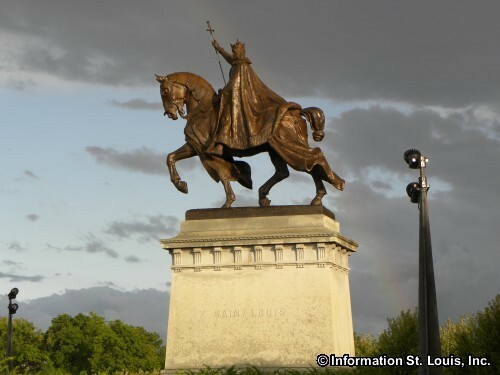 Some of the reasons for this were the European tensions caused by the Russo-Japanese War and because of the difficultly of traveling to St. Louis. The nations that did attend were Australia, Austria, Canada, Cuba, France, Germany, Great Britain, Greece, Hungry, South Africa and Switzerland. The United States had 526 athletes who competed in the games. The majority of the games were held at what is now Francis Field, on the campus of Washington University. In 1904, Washington University had just completed its new campus at its present location. 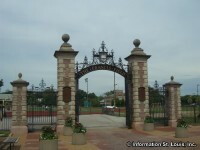 The University agreed to delay occupying the campus until 1905 to accommodate the Olympics that used Francis Field and the 1904 World's Fair which used the University's buildings as administrative offices. Some of the events held at Francis Field included archery, football, athletics, lacrosse, gymnastics, tug-of-war, weight lifting and wrestling. There where other venues around the city for the other Olympic competitions. 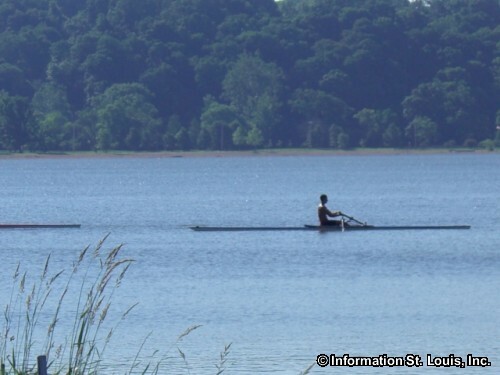 Creve Coeur Lake in Maryland Heights is where the rowing competition took place. Forest Park, at the World's Fair Life Saving Exhibition Lake, is where the diving, swimming and the water polo games took place. And the Glen Echo Country Club is where the one and only Olympic golf competitions were held. It was at the 1904 Olympic games that the three place medals, gold for first place, silver for second and bronze for third, were used for the first time to award the winning athletes. Several events saw their debuts at these Olympic games. They were boxing, freestyle wrestling, the decathlon and a dumbbell event. As mentioned above, the first, and only, Olympic golf competitions were held at the games in St. Louis.